Wasps predate their food alone but some will create communal nests. These nests are often found throughout properties across Penrith and surrounding suburbs. They are dangerous and their painfull stings can be very harmful to humans, especially if allergic. So if you spot a wasp nest at your Penrith property call Matthew Lynch Pest Control and not attempt to deal with it yourself. A wasp sting to someone who is allergic could land them in hospital. Experienced in a range of pest control services including European wasp removal. 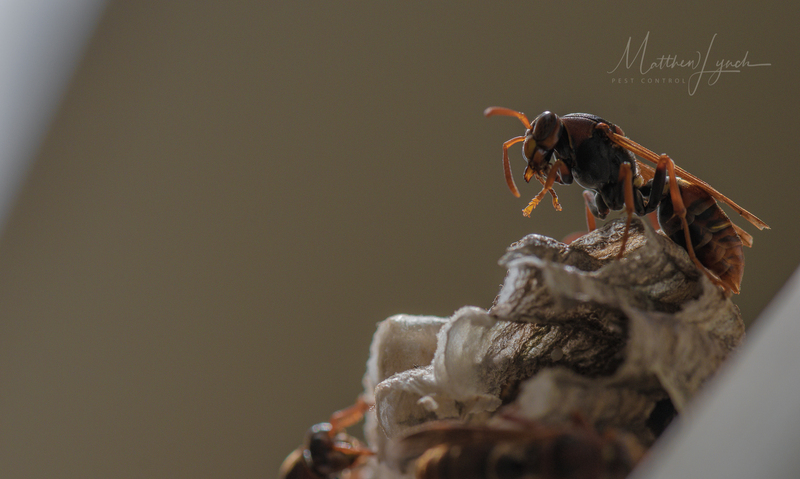 Matthew Lynch Pest Control can usually be onsite the same day so we can assess, control and remove all wasp’s. Because making your property safer is our primary concern. Our professional wasp exterminators can devise an effective eradication strategy and ensure your wasp infestation poses no direct danger at your property. For complete control of wasps, including European Wasps and other species. Call the professional team at Matthew Lynch Pest Control on 0406 679 538. Do not try to deal with it yourself.